As mentioned on my IG Story few days back, I've been trying a new facial spray and I can't wait to share more with you guys today! 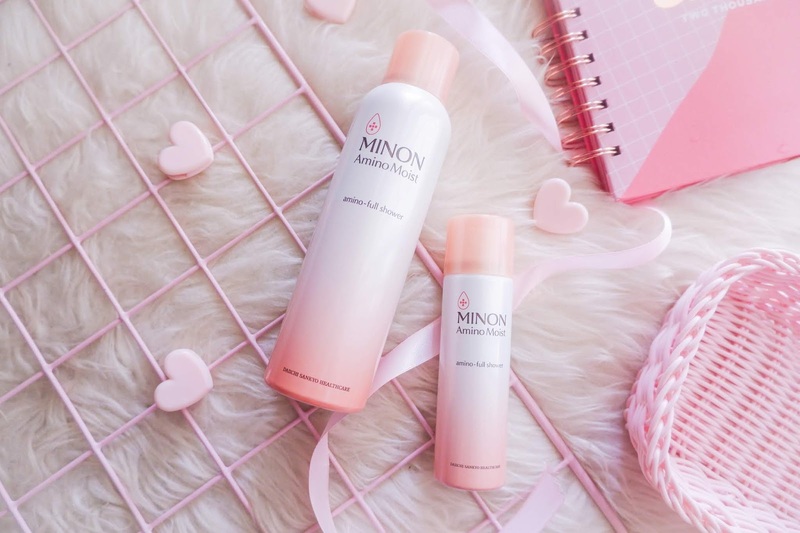 I've tried a few facial spray and in my honest opinion, most of them only helps in refreshing my skin because they contains water, but the one from MINON Amino Moist not only it helps in refreshing my skin, it also helps in keeping my dry skin at bay throughout the day. I've combination skin (in case you didn't know) some days it gets very dry yet sensitive and my foundation tends to look very patchy! But not anymore after I started using Amino-Full Shower. Amino-Full Shower is very different from other thermal sprays in the market. 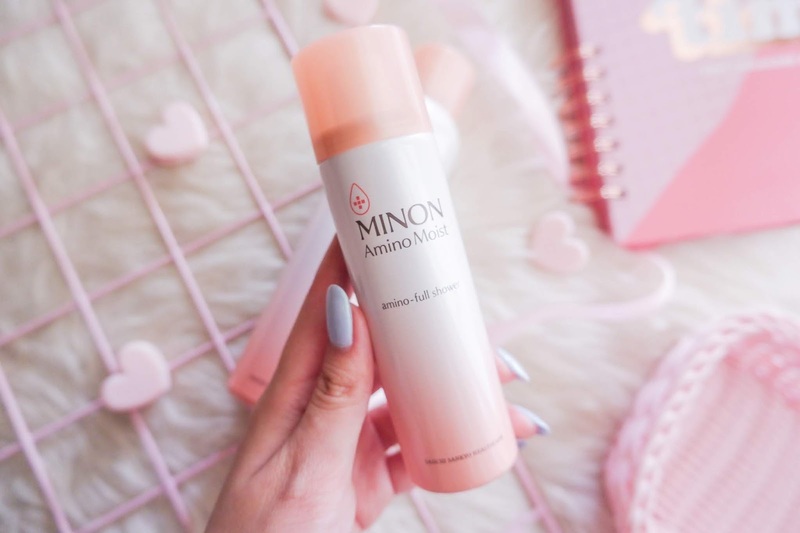 It is formulated with 11 types of amino acids - 9 types of hydrating amino acids to support the skin's barrier function and two types of clarifying amino acids to achieve smooth and radiant skin! It also contains absorbent hyaluronic acid, which is made up of positive ions to attach easily to the skin, made up of negative ions. This magnetic effect of the binding of ions also prevents moisture from escaping and provides deep hydration to the skin! I can really feel how my skin benefited after using it for a few days. The Amino-Full Shower comes with a nozzle which dispenses a perfect amount over my face. And with an ultra fine mist particles, it can penetrate better into the skin. 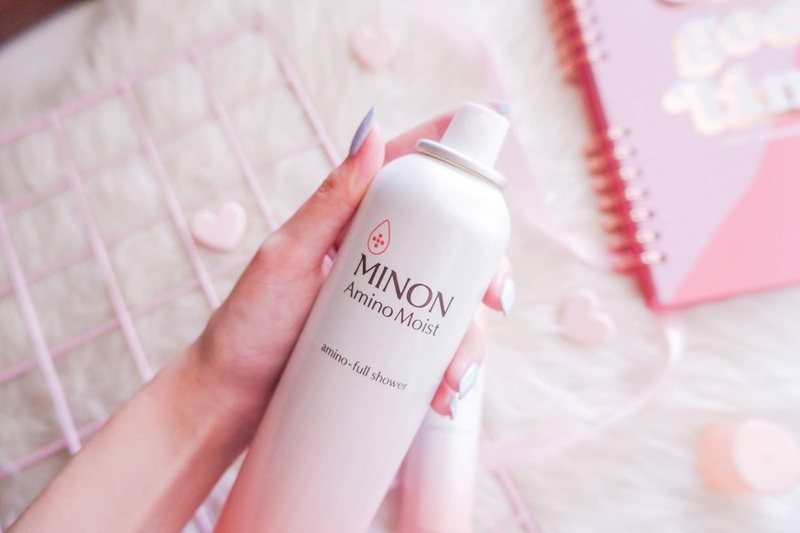 I've tried a thermal spray with terrible nozzle which requires me to spray part by part on my face, but the one from MINON Amino Moist only required one to two spray. I'm also glad they came up with a smaller bottle which I can bring it everywhere I go. A quick spray after cleansing, acts as a booster to allow ingredients from other products to better penetrate into the skin too. This facial spray is a great addition into my daily beauty regime! That being said, it can also be apply over makeup to combat dryness during the day or use it when touching up your makeup. Basically... anytime, anywhere, on-the-go! I find it really helps in replenishes my skin moisture which I could have lost throughout the day! Available at: Watsons, Don Don Donki, Tokyu Hands, Welcia-BHG, BHG, Venus, Nishino, Mediya Supermarket, Robinsons. Thanks for reading, I hope you guys enjoyed this review!